Being the list-making person that I am, I had to put together a list of resolutions/goals for 2012, or as I like to call them - New DIYear Resolutions (get it- because it's DIY stuff!) I will be updating everyone on my 2011 goals soon (spoiler: I did surprisingly well) but in the meanwhile I wanted to share what I hope will be on the docket for twenty-twelve. Refinish Garage Sale Chest: Back in July 2010, I bought a dingy and dirty, but full of potential, wood cabinet at a garage sale for only $2. But embarrassingly, this diamond in the rough has been sitting in my garage as-is since the day I bought it. It's high time to restore this beauty. Refinish Our Fireplace: Our fireplace was already on my to-do list back in 2010 and I achieved my goal for that year when my Dad built an expanded mantle shelf (see the improved before-and-after below). Since then, I also figured out how to disguise our flat screen TV cables. But, I'd really like to take the fireplace one step further by getting rid of the brass accents, painting the mantle, and maybe adding some new tile. Create a Proper Window Seat: We have a nice window seat area in our living room, but I've never gotten around to making a nice cushion for it. I bought the foam for the cushion when we first moved in but had to put it away when we got our dog and he went through his rebelious teething and chewing stage. Now that he's a good boy (most of the time), I've put the foam cushion back but have only loosely wrapped it in some boring extra fabric I had on hand. This year, I'd like to sew a proper window seat cushion with some fun fabric and accessorize it with new pillows. Ongoing Organizing: I've had organizing on my goals list for both 2010 and 2011. I accomplished a lot of organizing in the last two years, but I've always felt that this has to be an ongoing goal in order keep everything shipshape. I think decluttering as well as keeping drawers, closets, and papers in order is an ongoing process so I plan to continue my organizational kick throughout 2012. This year, I may try to be more organized with my organizing (there's a type-A statement if I've ever heard one) by tasking myself with one specific closet or area per month to tackle. 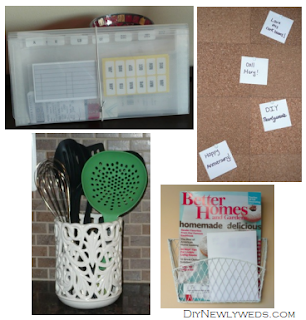 In addition to organizing, I have been experimenting with a few different cleaning methods and plans to keep the house nice and tidy. My goal for the year is to have my house pass the "pop-in" test at all times, meaning that my house is clean enough to have anyone stop by at any time. Wish me luck with that one! In addition to my home goals, I also wanted to share my personal resolutions this year. Daily Photo Project: This year, I'd like to take one photo every single day that captures a highlight or something memorable from the day. I'm hoping that this will be like a visual diary where I'll be able to look back on the year and see the memorable moments. In the 11 days that I've been doing this so far, I've also found that it's been getting me to think creativly. I'm taking the photos with my iPhone and the simplicity of the phone camera is making me put a lot of thought into how the image should be framed and getting me to see simple everyday things as camera-worthy moments. 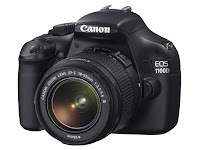 Learn to use SLR Camera: My other photo related goal for the year is to learn to use a DSLR camera. I purchased a Canon Rebel T3 over the holidays and am really excited to join the SLR world. I've been playing around with the camera, but I really need to sit down, crack open my manual, and learn the ins and outs of it. I know there are a lot of great resources online to learn to use DSLRs, are there any resources you can recommend? Travel: You probably already know how much I like to travel, heck I even created a travel gallery wall devoted to enjoying all of my vacation photos. So of course I'd love to take another vacation in 2012. We haven't made any plans about where or when yet, but I hope 2012 brings us somewhere warm and preferably beachy. So those are my goals for 2012! I have a few projects that I'd really like to accomplish, but I've left a lot of time for myself to accomplish home projects as they come up. What are your goals for the year? That wood cabinet is really neat and what a steal for $2 bucks. Popping by via The Nesting Place - love your plans for 2012. I attempted a 365 photo project too, but sadly forgot after day 3... Here's wishing you more luck and a better memory!